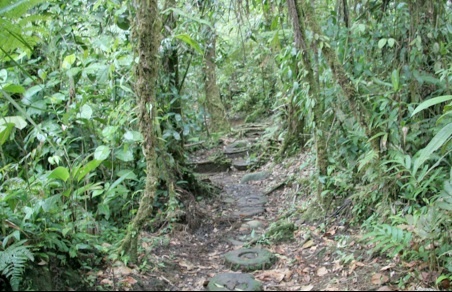 Intrepid Yale students doing research in Ecuador have brought back a mysterious fungus that can digest plastic. The group searched for plants, and then cultured the microorganisms within the plant tissue. As it turns out, they brought back a fungus new to science with a voracious appetite for a global waste problem: polyurethane. Student Pria Anand recorded the microbe’s remarkable behavior and Jonathan Russell isolated the enzymes that allow the organism to degrade plastic as its food source. The Yale team published their findings in the journal Applied and Environmental Microbiology late last year concluding the microbe is "a promising source of biodiversity from which to screen for metabolic properties useful for bioremediation." Enrolled students will explore the diverse ecosystems of one of the world’s rain forests where they will collect plant samples. During the summer, the students will engage in full time research where they will culture endophytic microorganisms growing within the plant tissue. Students will design their own assays and experiments to characterize the microorganisms. Organisms will be screened for the production of novel, biologically active natural products. Taxonomic characterization is expected to reveal some new species. 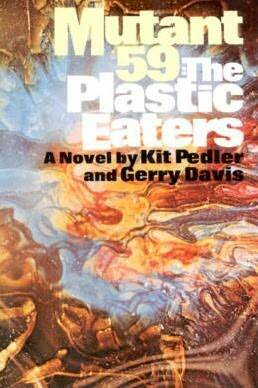 In The Plastic Eaters, Gerry Davis and Kit Pedlar wrote about a biological time bomb that could destroy necessary infrastructure. "On the surface, in the freezing December air, the smell of the rotting plastic began to hang permanently in the air. A cloying, wet, rotting smell similar to the smell of long-dead flesh. It filled streets and homes, basements and factories. Traffic lights failed, causing irresolvable jams.... The breakdown of plastic spread into Broadcasting House.... A gas main with polypropylene seals on its pressure regulators erupted into flame.... Plastic cold-water pipes softened, ballooned, and burst, flooding into shops, homes, and restaurants. "Slowly and inexorably, the rate of dissolution increased; failures occurred in increasing succession until, within forty-eight hours, the centre of London had become a freezing chaos without light, heat, or communication." Earlier still, Michael Crichton wrote about it in his 1969 novel The Andromeda Strain. "the organism...Mutated to a noninfectious form. And perhaps it is still mutating. Now it is no longer directly harmful to man, but it eats rubber gaskets." Hall nodded. "National guardsmen could be on the ground, and not be harmed. But the pilot had his aircraft destroyed because the plastic was dissolved before his eyes." Update: Larry Niven also used the idea of an organism that ate material necessary for a civilization's infrastructure: see this note on superconductor-eating bacteria from Niven's 1980 novel The Ringworld Engineers; thanks to Augustus van Dusen for bringing this to everyone's attention. (BTW, this is a serious spoiler for those who have not read the Ringworld novels.) End update. Via FastCoexist; thanks to Winchell Chung (aka @nyrath) for the tip and a reference on this story.